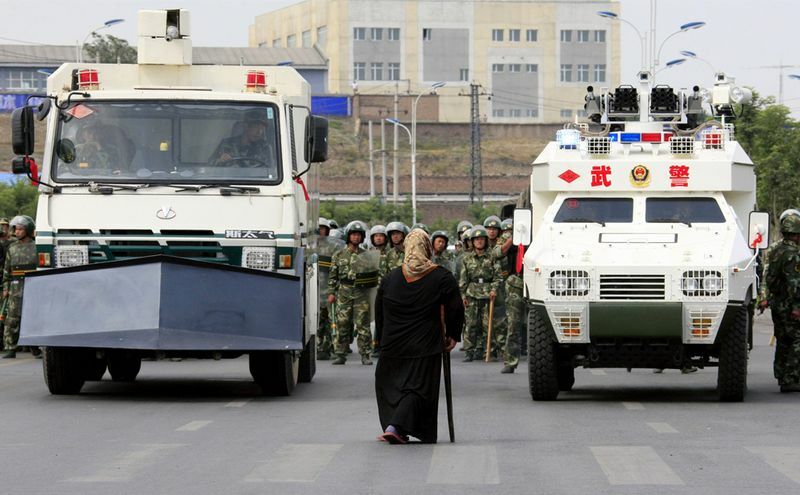 In the seven years since the July 5, 2009 unrest, a number of Uyghur families remain unaware of the whereabouts of their relatives detained by Chinese security forces during and in the days following the events in Urumchi. Instead of addressing the legitimate grievances of the Uyghur people that built tension prior to July 5, 2009, the Chinese authorities have since exacerbated political and economic repression toward the Uyghur people. UHRP calls on the Chinese government to disclose full details to Uyghur families on the condition and location of loved ones missing since July 5, 2009 and expresses concern over new legislation and measures designed to curb the rights of Uyghurs. “There should be no question a number of Uyghurs were forcibly disappeared after the 2009 unrest in Urumchi. Overseas media and human rights organizations have carefully documented such cases. A government that wishes to be considered a respected member of the international community should investigate the fate of these individuals and give some closure to the families of the Uyghur missing,” said UHRP Director Alim Seytoff. Seven years following the unrest questions remain over enforced disappearances of Uyghurs. Further troubling aspects of state security actions post-July 5, 2009 are reports of minors arbitrarily detained, tortured, sentenced or simply disappeared. Uyghurs who question Chinese officials for information on their missing relatives have been subjected tostate harassment. Official narratives of the unrest have avoided a discussion of human rights violations committed by Chinese security forces and a broad examination of discriminatory policies as a contributing factor. UHRP is concerned that a raft of new legislation limits the political rights of Uyghurs and only aggravates tensions in East Turkestan. Uyghurs have been noticeably marginalized from the regional economy. Chinese government investment has been rapid and extensive, especially since the adoption of Western Development policies in 2000. The benefits to the Uyghur population have been minimal in terms of poverty relief and reduction in unemployment. Discrimination in the job market is open with signs clearly stating Uyghurs need not apply for many positions. Initiatives ostensibly aimed at alleviating economic disparities, such as the first (2010) and second (2014) Xinjiang Work Forums, stress the need for greater migration to East Turkestan and a dilution of the Uyghur identity. In order to meet international human rights standards stemming from concerns brought to light by the 2009 Urumchi unrest, UHRP believes international pressure should be applied on China to sign and ratify the International Convention for the Protection of All Persons From Enforced Disappearance; ratify the International Convention on Civil and Political Rights and realize the rights outlined in the Declaration on the Rights of Persons Belonging to National or Ethnic, Religious and Linguistic Minorities.